And it’s the greatest feeling there is. Mo: You know, now that I have a child it seeems like my life before was slow like a tortoise. Me: So now it’s more like a cheetah? Mo: No. 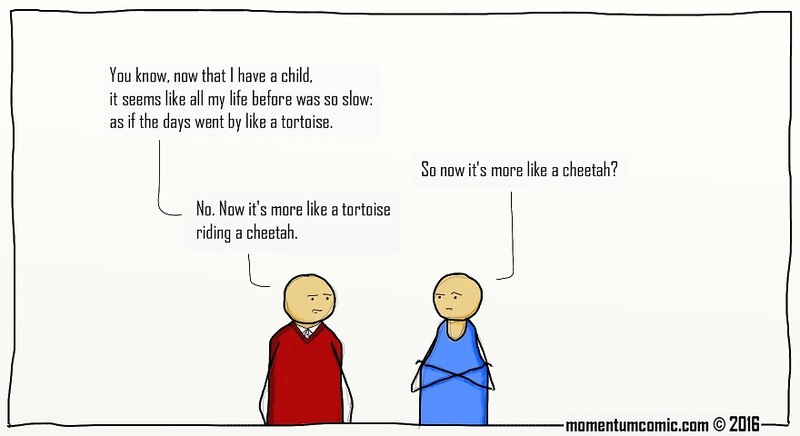 Now it’s more like a tortoise riding a cheetah.